Housing Finance reform will be a key focus area for the Senate Banking Committee  during the 116th Congress. In an outline for the committee's agenda, Banking Committee Chairman Sen. Mike Crapo said that the committee would "continue to identify and move bipartisan legislative solutions" during this session. Calling housing finance reform the "last piece of unaddressed business from the financial crisis," Crapo said that the committee would assess the proposals it has received from various groups on the conservatorship of Fannie Mae  and Freddie Mac  since it favorably reported on the bipartisan housing finance reform legislation in 2014. Housing finance reforms have been in the spotlight ever since Joseph Otting, Acting Director of the Federal Housing Finance Agency  (FHFA), that oversees the conservatorship of the GSEs, remarked that the White House would be announcing a plan by next month to end government control of Fannie Mae and Freddie Mac. According to a recording of his remarks obtained by Politico , Otting told FHFA employees that they would be seeing communication from the White House and the Treasury over the next two to four weeks that "really sets a direction for what the future of housing will be in the U.S. and what the FHFA's part will be." 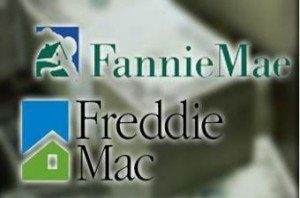 The remarks have set the share prices  of both the government-sponsored enterprises (GSEs) soaring as investors became more hopeful that Fannie and Freddie could soon be out of government conservatorship.